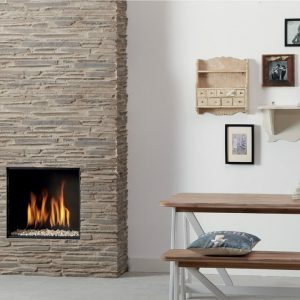 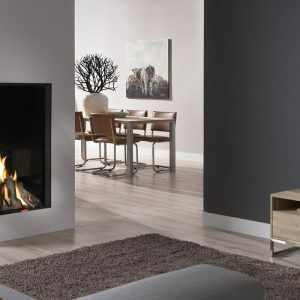 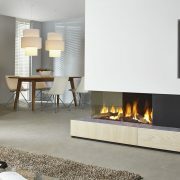 The Maestro 80/2 is an 80 cms wide 2-sided corner gas fire with the very finest log fire display. 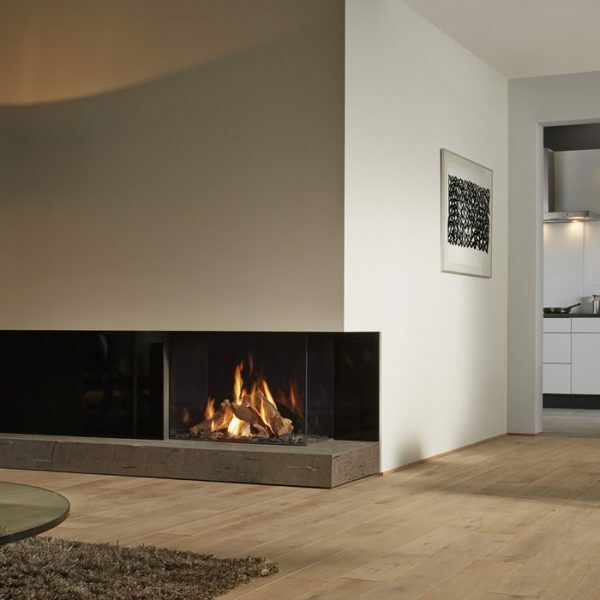 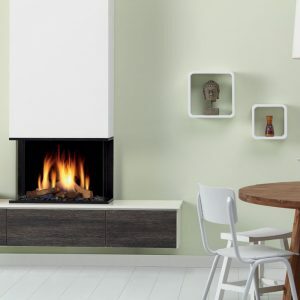 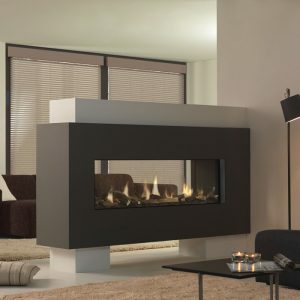 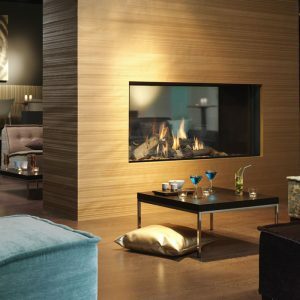 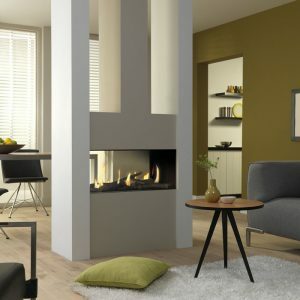 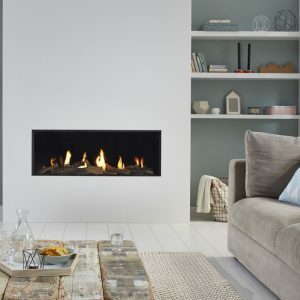 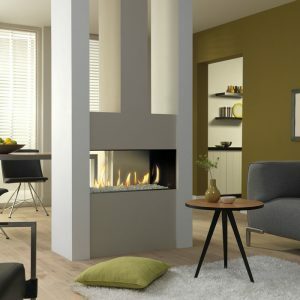 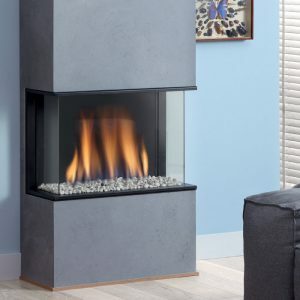 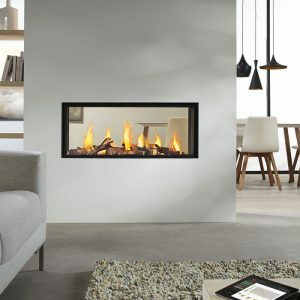 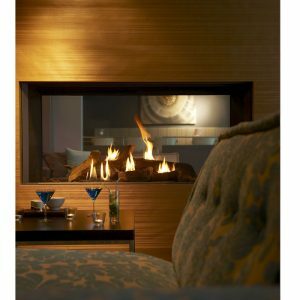 There is a choice of striking interior finishes in black or mirrored Ceraglass and the option of Clear View glass for an authentic open fire look. 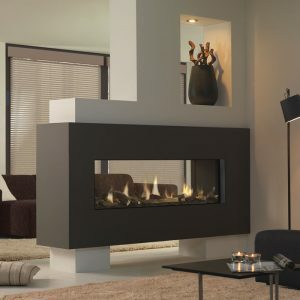 Control is by the unique DRU Eco Wave app for smartphone or tablet. 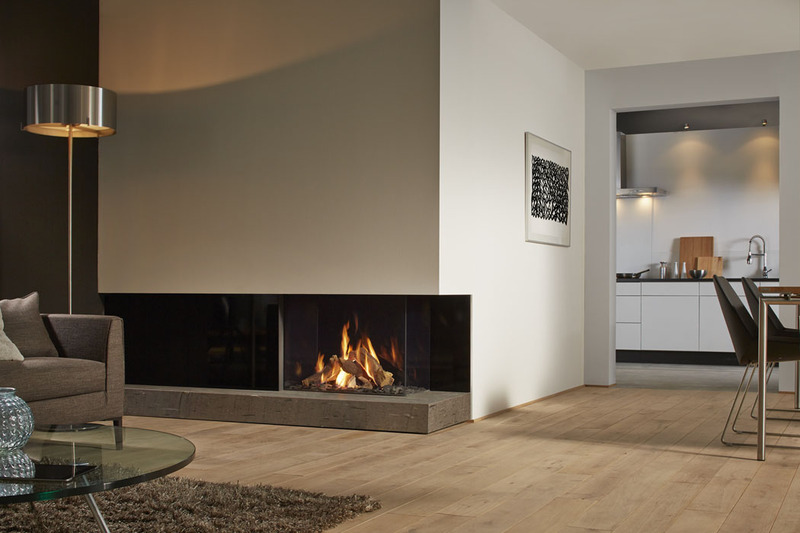 Heat production capacity ranges from 1.7kW-9kW and an impressive 84% efficiency.